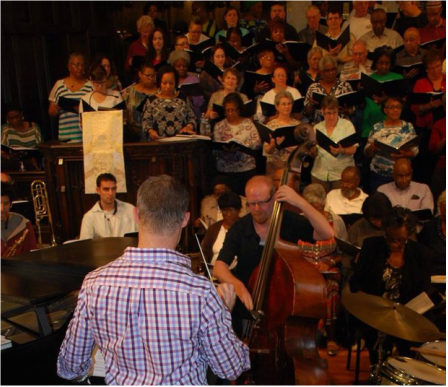 ​The Music Ministry of Asylum Hill Congregational Church was proud to partner with three sister churches in Hartford’s North End to recreate music from Duke Ellington’s Sacred Concerts. 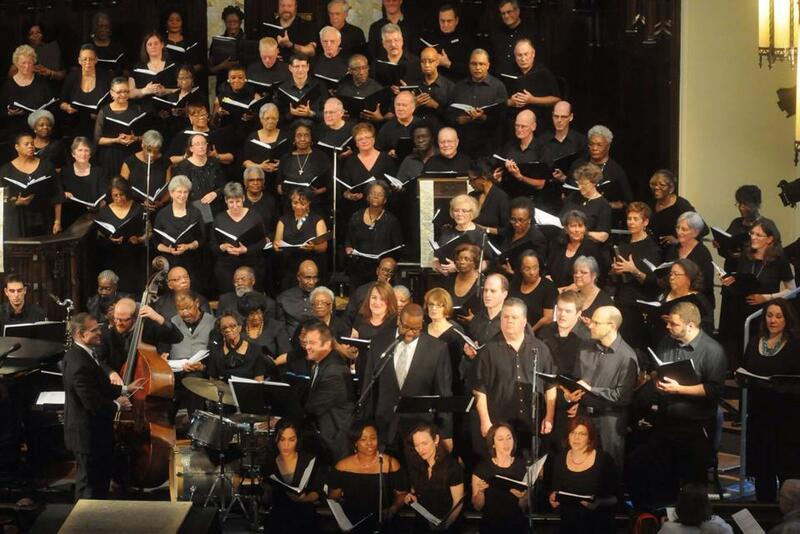 The choirs of AHCC, Faith Congregational Church, Union Baptist and Metropolitan AME Zion joined in this musical journey through the faith and spirituality of one of America’s greatest jazz composers and performers. ​The concert featured a 15-piece band made up of some of Hartford’s finest jazz players, amazing tap dancer Corey Hutchins, inspiring soloists from across the region, and a choir of more than 100 voices! For three months, choirs from the four churches practiced on their own and gathering at different houses of worship to meet, share and sing together – building community as we built this concert event. Drawn heavily from the Black experience in America of the 1960s, this unique blend of gospel, classical, jazz, choral and blues styles manifests a spiritual message and deep theology we all share. 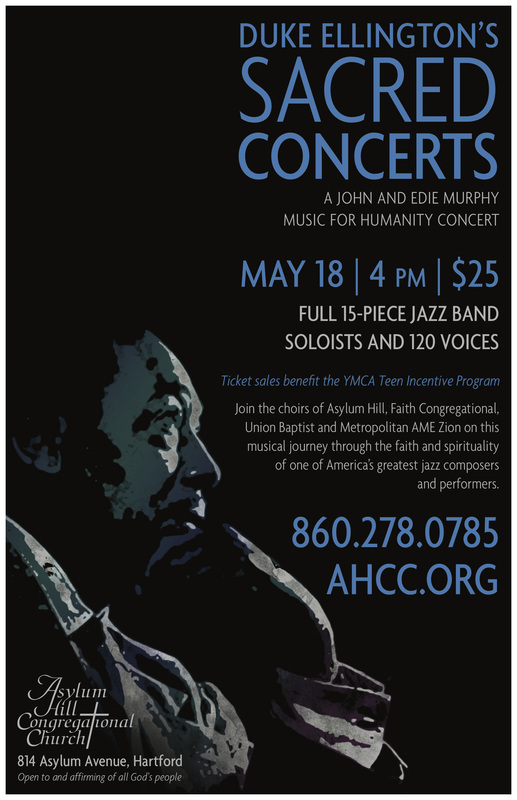 ​This concert was presented as a John and Edie Murphy Music for Humanity Concert, an outreach program of Asylum Hill Congregational Church. The full value of the ticket to the Duke Ellington Sacred Concert went to support the YMCA Teen Incentive Program (Y-TIP), which is offered through the Wilson-Gray YMCA Youth and Family Center on Albany Avenue, Hartford. Y-TIP engages youth in a variety of academic enrichment and career exploration activities with a goal of improving the academic success of low-income, minority children that frequent the Wilson-Gray YMCA, by helping them develop the skills needed to make positive choices for themselves and their families.